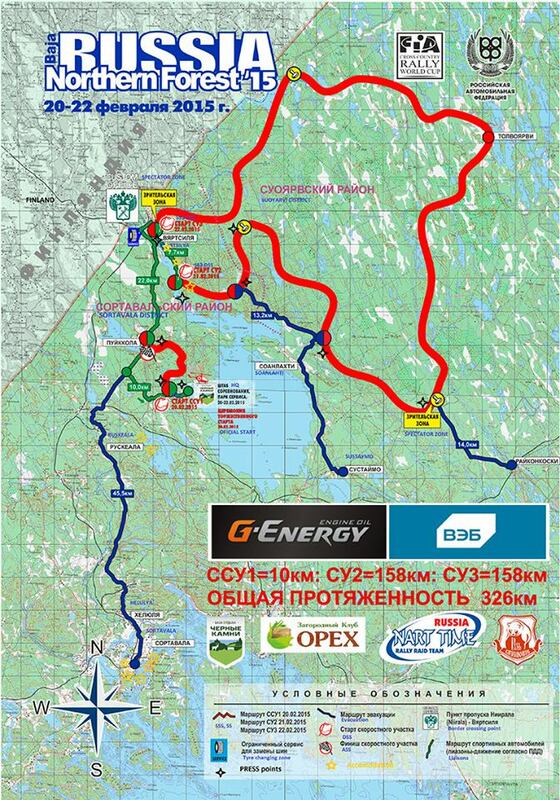 The Baja «RUSSIA Northern Forest» will be run from February 20th to 22th 2015 in the Russian Federation, in Sortavala and Suoyarvi districts of Karelia Republic (closed to the Finland border). The competition will start in “Black Rocks” resort with Administrative Checks and Technical Scrutineering. Leg 1 will start near “Black Rocks”. The first day includes one SSS of about 9,50 kilometers. After the finish of SSS(SS1) – the overnight Service Park in “Black Rocks” resort. Leg 2 will consist of SS1 about 159 km long. Before the start of SS2 tire change area (non obligatory). After the finish, liason to “Black Rocks” about 32 km. No Service Park and the Regrouping during Leg 2. After the finish of Leg 2- the overnight Service Park in “Black Rocks”. 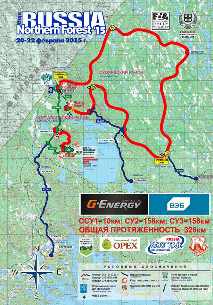 Leg 3 will consist of SS2 about 159 km. Before the start there will be a tires changing area (non obligatory). After Leg 3 liason to “Black Rocks” about 35 km, where the podium ceremony and the final Parc Fermé will be organized.